You’re probably not here because you’re really excited about the prospect of spending your budget on printed apparel for your company. Giving away custom branded apparel at trade shows, seminars or at other commercial events might be categorized as a necessary evil, but nonetheless, there is a valid reason for you to want to do it. The reason to start a small business marketing campaign with custom printed t shirts and apparel is to increase public awareness of your business/brand and, in turn, increase business profits… and this is what we’re here to help you with. We’re a printing company, but we are not simply here to sell you custom printed t-shirts; we’re here to offer you a way to increase profits, and gain more exposure. Each person who wears a business t-shirt is a small business marketing billboard. Promoting your brand offline is all about exposure. You can go invest in billboard advertising, which gives you good exposure, but only in a limited area and at a significant expense to cash flow in the short term. Printed t-shirts are great because they turn customers into little walking billboards, who can each spread the word about your business as they go about their day. Humans have a great knack at advertising in places that are normally hard to reach, and the influence that these little brand ambassadors have on others can be surprisingly effective. Printed apparel is one of the cheapest ways to market your business offline. 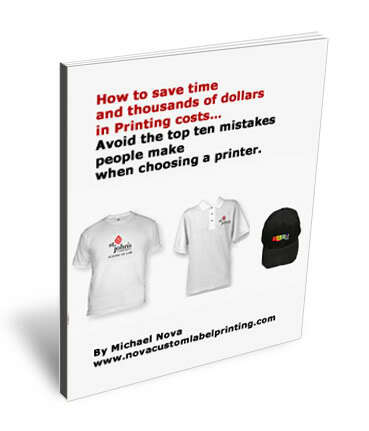 Custom printed clothing is less expensive than media advertising (especially if you stick with basic color printing options on white t-shirts), and because you always have control over how many shirts you need, there is minimal financial risk. Overheads for individual orders are small, and you can purchase more or less t-shirts as company revenues change. You can test the waters by printing a small number at first and seeing how the customers respond, and update designs whenever you want to. There is so much room for creativity, and with this comes customer interest. You might think that a promotional t-shirt is something with just your company logo on it, but you can do much better than this. Catch phrases, slogans and statements can unearth that natural human curiosity, and the more effort and creativity you put into it,the more you are able to take advantage of this curiosity. If you can get others to spark a conversation from your walking billboards, then you are definitely doing things right. 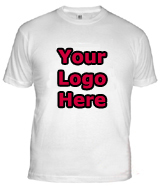 Printed t-shirts are ideally suited to the social side of small business marketing. Social media marketing is often a great choice for smaller businesses, because it is of course free, and provides real scope for customer engagement. Why not combine online social marketing with offline t-shirt marketing? – you can encourage your customers to post pictures of themselves wearing your tees on your social media account, or get loyal customers to Tweet you whenever they spot someone else wearing one. Give away a little incentive to do so. A little freebie can work wonders in terms of generating customer loyalty. Remember, creativity is the key when promoting your brand identity.